Ah, shucks! I'm sorry to hear that you are having trouble downloading or printing my awesome printables (either free or paid). While I want my files to be accessible to everyone, I do not email individual files. Please try the following options below before emailing me. And don't be rude when you do email me...geez, I shouldn't even have to type that. If you feel that you have tried everything here with no success, then please feel free to email me at dyan@andnextcomesl.com. I will try my best to respond as soon as I can. Sometimes if you open the file too many times, you will be blocked from accessing it again. No worries, it's a simple fix! I just need to reset your downloads. Simply send me an email with your order number and ask for your downloads to be reset. You can also have the order email resent to you via this link. Just enter the email address you used during checkout and it will be automatically resent to you. Already have a customer account? Log into your customer account to access all your paid downloads. In any post that mentions a free printable, simply look for a giant pink link near the bottom of the blog post. Click that and it'll open up in Google Drive for you to download and save to your computer. There are a few printables that do require your name and email address first. Simply locate the sign up box near the bottom of the blog post, pop in your details, and you'll get immediate access. 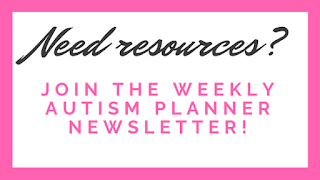 If you are already a subscriber to the Weekly Autism Planner newsletter, then you can also find all of the free printables in the subscriber library. The link to the subscriber library is no longer advertised on the blog. What you'll need to do is first locate a recent email from me (I send them every Monday and Friday). Scroll down to the bottom of the email. ALLLLLL the way down. Then you'll find a link to the subscriber library! Don't receive the Weekly Autism Planner emails yet? Subscribe here. If you are subscribed to receive push notifications and want to unsubscribe, then you can find out how to unsubscribe here. Option #1 (aka the best method): The easiest and quickest way to unsubscribe is to find a recent email from me and click the unsubscribe link found at the bottom of the email. It takes seconds to do and I'll never know that you want to break up with me. Option #2 (aka the slower method): You can also email me at dyan@andnextcomesl.com to be unsubscribed at any time. Make sure you include the email address that you want to be unsubscribed (you'd be surprised how many people email me saying to unsubscribe me and yet the email they send from isn't even on my list of contacts!). Please note that this method is slower because I have to do it manually and I'm not always near a computer nor do I usually work on weekends. This method can take up to 72 hours or so depending on how busy my life is at the moment. That's why I say go with method #1. Every Friday I release an exclusive free printable to subscribers only. It can't be found anywhere else on the blog at the time of release. Although it may eventually make its way to the blog in the distant future. The catch? It's only available for three days. So if you snooze, you lose. And no, I will not send it to you if you missed out. Check your email every Friday. You'll receive my Friday Freebies email and in it, you'll get the link and password to the new exclusive freebie. The password changes every single week so the only way to get it is to actually read those Friday emails. Skim-readers usually miss finding it...just saying. When you enter your email address, the printable is emailed directly to you (so check your spam and junk folders because they may have ended up in there). 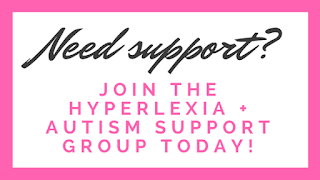 The password for the subscriber library is located at the bottom of every Weekly Autism Planner and Friday Freebies email. I just set up the library so some of the other automatic emails don't have this information yet (I haven't had time to edit all of those yet!). If you continue to have issues, respond to one of the Weekly Autism Planner emails and I can help you out.